Tag Archive | "samsung galaxy"
Multi windowing, collaboration, ‘full size’ virtual keyboard, digitizer, and performance with a 12-inch screen. Sounds like an Windows Tablet right? 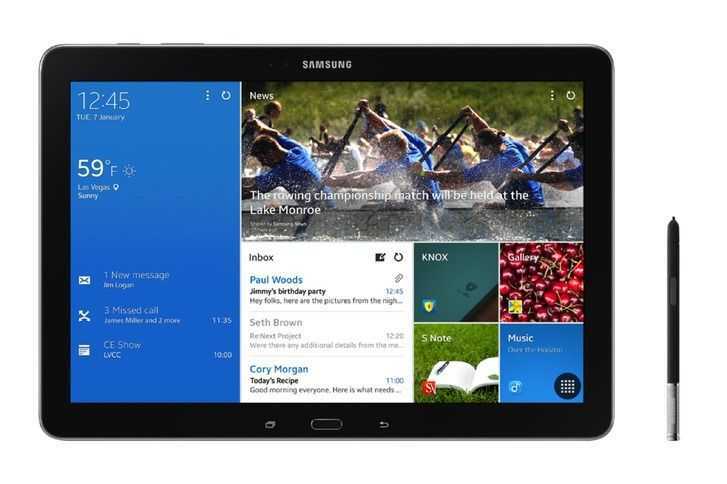 No, Samsung have launched the Samsung Galaxy Note Pro, a 12-inch tablet running Android. The Samsung Galaxy Tab 7.7 equipped with 4G LTE is finally touching down at Verizon starting in just two days. It’s been a long time coming, but starting March 1, you’ll be able to pick up the premium tablet for $499. What do you get for $499? Well, first there’s the much lauded 7.7″ Super AMOLED Plus screen with 1280×800 resolution, then you’ve got a 1.4GHz dual-core CPU, 1GB of RAM, a 3.2MP rear camera (2MP front), and 16GB of storage, all contained inside of a sleek 7.8mm thick casing. This version of the Galaxy Tab also has that wonderful 4G LTE functionality that has proven time and again to be the speediest mobile data network in the ‘states. The only show stopper? Verizon and Samsung indicate that the Galaxy Tab 7.7 will still be shipping with Android 3.2 Honeycomb. Given that the Galaxy Tab 2 (7.0), Galaxy Note 10.1, and Galaxy Tab 2 (10.1) were all just recently announced with Android 4.0 Honeycomb on board this is somewhat of a disappointment. Given the bad track record of updates for Android products — if I was in the market for a new tablet I might just wait until an official date for the release of Ice Cream Sandwich on the Galaxy Tab 7.7 before making a purchase decision. The Galaxy Tab 7.7 was announced all the way back at IFA in September 2011. Since then, we’ve been watching carefully to see when the Tab 7.7 would make it stateside. 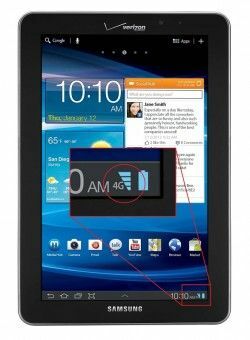 The very last we had heard about the Galaxy Tab 7.7 release date was during CES 2012 in January when Verizon and Samsung said that the device would be arriving “in the coming weeks”. Wow, it’s been a long time coming! 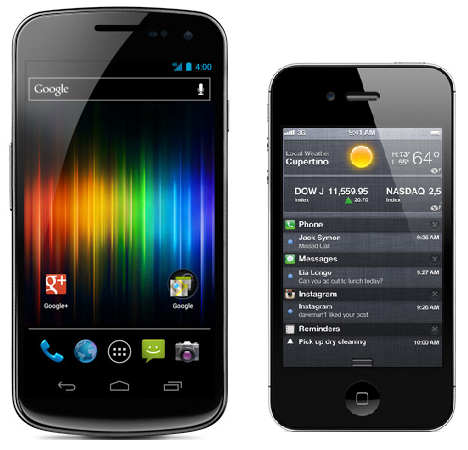 The $499 price point meshes well with our prediction from the other week, and unfortunately, so does the lack of Android 4.0 Ice Cream Sandwich! With this announcement, Samsung says that they’re worked with Adobe to create a version of Photoshop Touch that is specially optimized for the S Pen functionality of the Galaxy Note 10.1. Photoshop Touch on the Note 10.1 will let you “transform images with core Photoshop features and combine multiple photos into layered images, make popular edits, apply professional effects, and more,” according to Samsung. Then there’s Adobe Ideas, also optimized for the S Pen, which allows you to create simply sketches and vector graphics. Samsung says that these S Pen optimized versions of Photoshop Touch and Adobe Ideas are exclusively pre-loaded on the Galaxy Note 10.1, though it seems the standard versions of these apps are currently available through the Android Market (see the links above). In addition to these graphic-oriented apps, Samsung says that they’ve got a suite of apps to make the Galaxy Note 10.1 a powerful educational and productivity tool. The S Note app allows you to create a mashup of photos and annotation, and has templates such as meeting minutes, recipe, cards, diary, magazine, and more to help you become productive with minimal setup. Formula match and shape match functions in the S Note app allows the software to recognize mathematical symbols and shapes respectively to aid in math work diagram drawing, and more. There’s no word yet on Galaxy Note 10.1 pricing or release date, but I’m just hoping this won’t turn into another multi-month fiasco as happened with the US release of the Galaxy Note and Galaxy Tab 7.7. Syncing with Google Calendar™, Google Search, Google ? Samsung Announces Galaxy Tab 2 (7.0), It’s like the Galaxy Tab Plus Except… Worse. In what could only be called a baffling move, Samsung today announced the Galaxy Tab 2 (7.0). Through a press release, oddly titled ‘Samsung’s new GALAXY Tab 2 (7.0) offers optimal multimedia experiences in life‘, Samsung said that the new addition to the Galaxy Tab series would launch in March starting in the UK, then spread globally to other markets. Pricing was not confirmed, but I expect the Galaxy Tab 2 (7.0) to start around $450 for a WiFi-only model while US carriers may offer them for around $300. 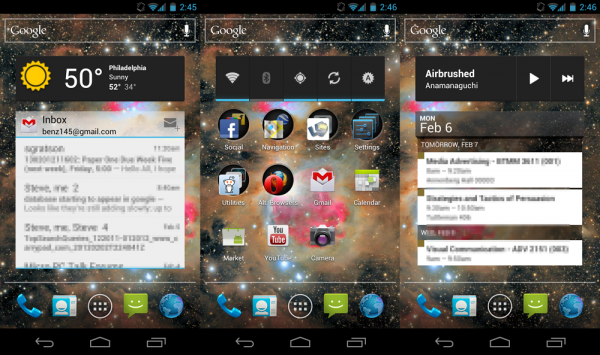 While the Galaxy Tab 2 (7.0.) is the first to bring the much lauded Android 4.0 Ice Cream Sandwich to Samsung’s 7″ form-factor, it also makes some rather strange omissions which make this feel more like a prequel than a sequel. Yes, you’re reading that right: the Galaxy Tab 2 has a slower processor, a lower resolution front camera, no flash, no IR blaster, and is thicker (same battery capacity just in case you were wondering). How exactly Samsung arrived at the conclusion that the Galaxy Tab 2 (7.0) should be considered the successor to the original Tab 7, while concluding that the Tab 7 Plus was somehow unworthy of the title, is beyond me. In all fairness, the Galaxy Tab 2 (7.0) does has a few tricks up it’s sleeve that the Galaxy Tab 7 Plus doesn’t have, but these are all software based and can be ported over when the Tab 7 Plus receives the Android 4.0 Ice Cream Sandwich upgrade. Unless the Galaxy Tab 2 (7.0) is going to sell for significantly less than the Tab 7 Plus (and I don’t think it will), then I really don’t quite understand what Samsung hopes to gain with this launch. The Samsung Galaxy Tab 7.7 is officially going to land on U.S. shores with a 4G LTE variant that will be carried by Verizon. It’s great to finally have this confirmation straight from Samsung/Verizon as it’s been a whopping 5 months since the Galaxy Tab 7.7 was announced during IFA in September 2011. Since that original announcement, we’ve heard conflicting reports about Samsung’s plans for release in the US. At the end of September 2011, the Galaxy Tab was spotted rolling through the FCC, cementing our belief that it would eventually see a US release, however, months went by after the FCC discovery with no announcement from Samsung. The Samsung Galaxy Note, which was announced at the same time, also had a relatively lengthy history of ambiguous US release plans. 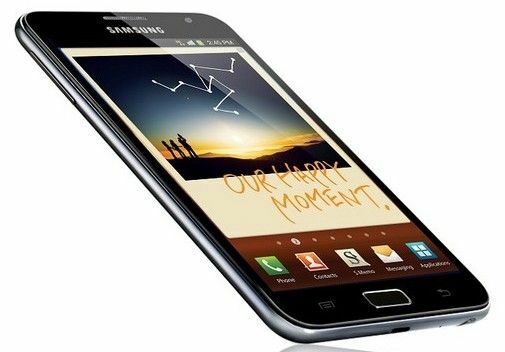 Recently, Samsung announced that the Galaxy Note would be hitting the US carried by AT&T. Samsung and Verizon made the announcement that the 4G LTE equipped variant of the Galaxy Tab 7.7 would arrive in the US during CES. The announcement says that this will happen “in the coming weeks”, so we expect to hear more soon. Unfortunately, no Galaxy Tab 7.7 release date or price accompanied the announcement. The Tab 7.7 is currently the most premium 7″ tablet on the market with a 1280×800 AMOLED screen, a 1.4GHz dual-core CPU, and now, 4G LTE connectivity. At 340 grams and 7.9 mm thick, it’s also one of the lightest and thinnest. The only thing it’s really missing is Android 4.0 Ice Cream Sandwich, though Samsung says they’ll update the Galaxy Tab 7.7 to ICS eventually. Currently the device runs Android 3.2 Honeycomb out of the box, and it doesn’t sound like it’ll see the ICS upgrade prior to its Verizon US debut. Thanks to these premium features, you can expect to pay a premium price when the Tab 7.7 launches on Verion. Given their current tablet lineup and pricing, I’d expect the 16GB version of the Galaxy Tab 7.7 to be priced between $500 and $600. 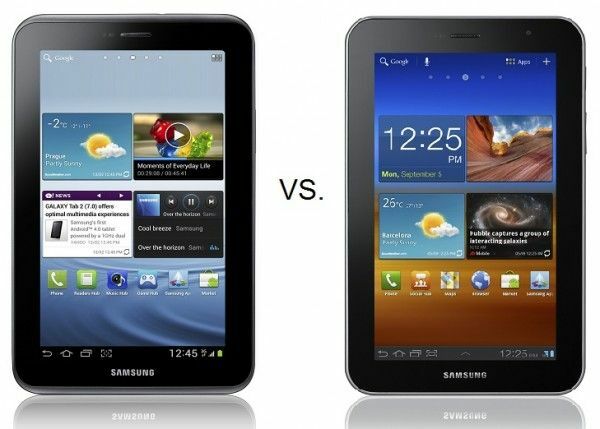 It’s interesting to note that Samsung has decided to launch the Galaxy Tab 7.7 on Verizon and the Galaxy Note on AT&T. I’m not sure if there’s a strategy to that move (it could just be to keep the carriers complacent with exclusives), or if it was just the roll of the dice. No word on this point if either device will go cross-carrier, but I suppose time will tell. 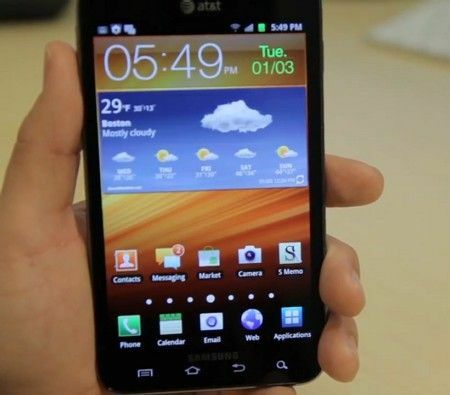 The ever-interesting Samsung Galaxy Note has finally been officially confirmed for release on the AT&T network. AT&T announced the Note in a press release yesterday, alongside several other devices. According to the release, the Galaxy Note is “planned for availability in AT&T stores and online in the coming weeks”. Hopefully, those “weeks” won’t slip into months! Pricing information has not been released, but based on the MSRP of the phone, $299-$399 is a safe bet. It’s unclear at this point if Verizon will eventually offer the Galaxy Note or if this is an exclusive for AT&T. The Galaxy Note, which is the first modern Android phone to incorporate an active digitizer and stylus, was announced what seems like ages ago at IFA in September. Since then, the Note has gone gone on sale in Europe and elsewhere, but US folks have been unable to get their hands on the phone except through pricey importers. The Galaxy Note’s active digitizer allows the user to input highly accurate hand-written text. Such functionality has long before been seen on tablet PCs and a few Android tablets, but the Note is the first to include the technology in an Android phone. Chippy has a mini-review of the Galaxy Note alone with photos and videos if you’re interested in the device. When the Note was first launched, I was a bit annoyed at the massive 5.3″ screen. I still feel like screens beyond 3.75″ or 4″ negatively affect the ergonomics of a phone, but I will admit that in the case of the Galaxy Note, I’m singing to a different tune. The stylus means that you’ll be using the phone with two-hands regardless (one to hold the phone, one to write with), so the argument against a huge screen is somewhat averted. The compromise to enable a large writing area is also one that I might be willing to make (and I know plenty of others who would be happy to make). Interestingly, in a video accompanied by the AT&T press release, the stylus and active digitizer almost went unmentioned, save for a few seconds at the end. In most of the European advertising material, the stylus was front and center as the most important part of the phone. It seems that AT&T knows that most US consumers (that doesn’t include tech nerds like myself and you!) are looking for an iPhone experience, otherwise they’d be pushing this unique feature much harder. The Samsung Galaxy Note finally has official confirmation of an eventual US release. I don’t think many of us doubted that it would happen at some point, but Samsung had been outwardly indecisive about a US release of the Galaxy Note ever since some initial confusion over a statement made during IFA in October when the Note was announced. Since then, we’ve seen the Galaxy Note pass through the FCC, which bolstered our confidence that the stylus-touting Note would reach the US. Now Samsung has cleared things up once and for all, we’ll see the Galaxy Note in the US in 2012. According to CNET, who cites a pseudo-press release that was posted as a photo description on flickr, “Samsung has confirmed that a U.S. launch is in the works for next year but hasn’t yet revealed a specific date”. Given the excitement surrounding the Galaxy Note, and the proximity of CES, there’s approximately a 99.9% chance that we’ll see the Note touted by Samsung at the event. We hope to hear more specific news about the Galaxy Note US release date then, stay tuned! In addition to confirmation of an eventual US release date for the Galaxy Note, Samsung noted in the press release that over 1 million Notes have been shipped. CNET points out that “shipped” in this case means how many have been sent out to resellers; fewer than 1 million may actually be in the hands of customers. The only option for obtaining a Galaxy Note in the US currently is to go through an importer, but you’d better not be expecting to pay under $600! Once the device reaches US carriers, customers will be able to get their hands on it much more easily, thanks to subsidies that will bring down the $850 MSRP reported by a number of importers. Hat tip to Chuong over at GottaBeMobile for pointing out this story. Notion Ink Adam to Get Ice Cream Sandwich, and Samsung Says THEY Can’t Manage?! 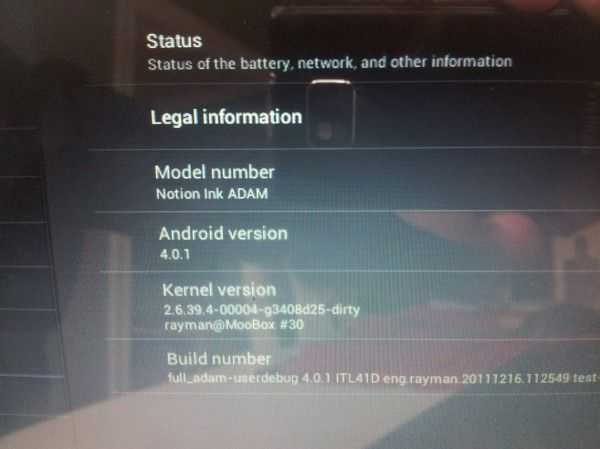 If you’ve got an Adam and the stomach for installing pre-alpha software, see here for more details about ICS on the Notion Ink Adam. So far, Notion Ink says they’ve got accelerated graphics, GPS, Wi-Fi, accelerometer, SD Card and ADB working, while the camera, sound, 3G, bluetooth, remaining sensors, and a sleep bug remain to be fixed. This progress is surely a slap in the face of Samsung who have recently announced that the original Galaxy S phones and original Galaxy Tab will not receive upgrades to Android 4.0 / ICS. The reason for this, according to Samsung, is that the TouchWiz interface, applied by the company to all of their devices (less the Nexus S), takes up too much memory that an ICS upgrade would not be feasible for these devices. Instead of ICS, Samsung is apparently considering offering a ‘value-pack’ wherein the company would update these forgotten devices and shoe-horn in some of the ICS features, without actually upgrading to ICS itself. The obvious outrage here is that, if TouchWiz is really the only thing holding them back from updating to ICS, Samsung should offer a vanilla update to ICS if the customer chooses. Notion Ink is working on that very thing right now. The tablet originally launched with a completely skinned (far more than TouchWiz) version of Android 2.2, but the company will apparently still be offering an ICS upgrade to their customers, even if it means they have to let go of their proprietary interface. Samsung obviously believes that TouchWiz is important to their customers and that’s why they won’t simply cast it aside and offer a vanilla ICS install. For some customers this may be true. For me, and most of the people reading this site, I’d say that they’d be willing to drop TouchWiz to get the latest performance, feature, and security updates out of ICS, and I think it’s Samsung’s duty to offer them at least that, especially when a company as tiny as Notion Ink is managing to do so. Notion Ink Adam to Get Ice Cream Sandwich, and Samsung Says THEY Can't Manage?! 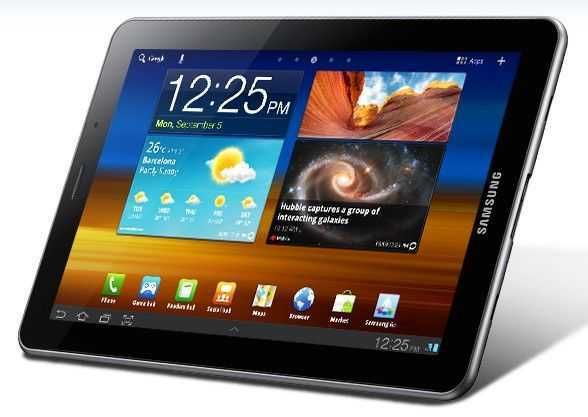 Samsung Galaxy Tab 7.7 Price Settling in Around $650, Room to Drop? 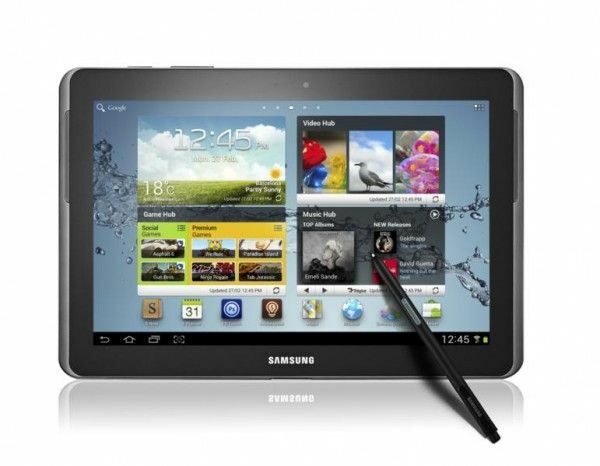 The Samsung Galaxy Tab 7.7 was made official way back at IFA in early September. Since then, the premium tablet has been a hot topic (holding the #2 position in our mobile product database popularity rankings), especially considering the circumstances of its odd removal in the midst of IFA. It’s been months since then, and the Galaxy Tab 7.7 is still not officially available, and it’s unclear exactly what regions it will be available in once a release date is announced. 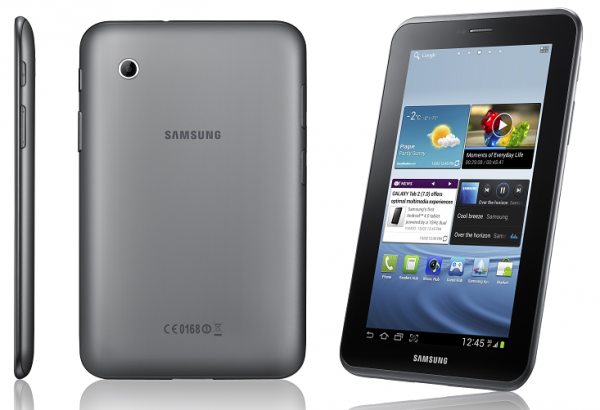 The Galaxy Tab 7.7 has been spotted in the FCC, so a US release is expected, eventually. For a device featuring a 7.7″ AMOLED display, one of the fastest CPUs we’ve seen on such a device, and sizing up at only 7.8mm thick, I think we could call that price justified. Still, at $650, only those gadget lovers with money to spare will be able to pick up the Galaxy Tab 7.7. Anyone without a premium gadget-budget would likely be much more attracted to the Galaxy Tab 7 Plus, which can be had starting at $399. But, there’s some good news. If we take a little trip down memory lane, we find that the original Galaxy Tab 7 had a suggested retail price of a whopping â‚¬799 ($1023 USD). However, as Chippy realized, much of that was a buffer for Samsung to give their retail partners room to play. Chippy predicted that the street price would start at â‚¬700 then drop to â‚¬600 over the next three months, and that’s very close to what we actually saw. The Galaxy Tab 7 could afford to have such a big buffer because it was the first 7″ Android tablet on the market. The Galaxy Tab 7.7 doesn’t have the convenience of such exclusivity. Still, the importers are likely setting their Galaxy Tab 7.7 prices in accordance with a retail price suggestion from Samsung, which several sites are listing at $799. 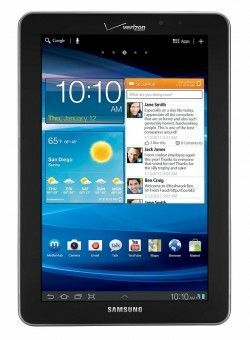 As with the original Galaxy Tab 7, I think we’ll see the Galaxy Tab 7.7 get a lower street price once the official release date is made (probably around $600), and drop to around $500 over the next few months. 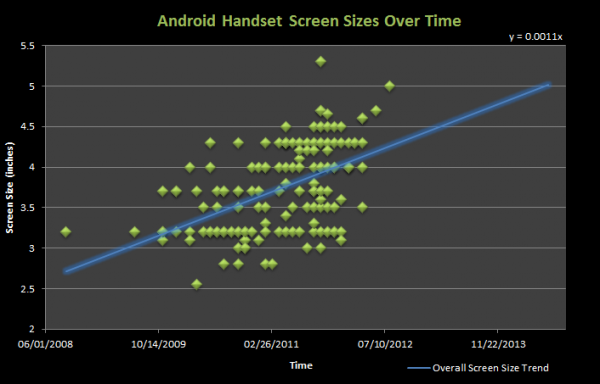 Much of this depends on how well the AMOLED display production scales. Whatever the case, Samsung better hurry the Galaxy Tab 7.7 out the door before another company releases a substitute device and puts it on the market before the 7.7. They definitely don’t want to wait into February when iPad 3 rumors start cropping up. CES is coming up in just a few weeks, and it’s likely there that we’ll hear more official info about the Galaxy Tab 7.7. Stay tuned for updates! To see out latest Galaxy Tab 7.7 stories, click here.